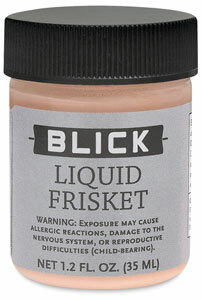 Blick Liquid Frisket is intended for use on watercolor papers, photos, and other media where overlying applications of watercolors, gouache, or ink are to be made. It works best on sized paper, and should not be used on wet paper. 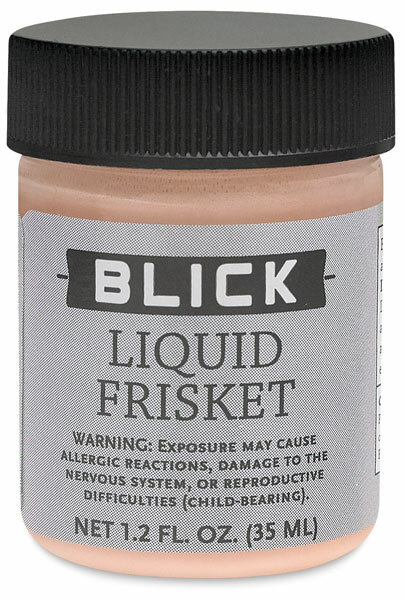 To assist flow, simply add a few drops of water, shake well, and apply with a nib to the area to be protected. Remove the frisket by peeling or rubbing with a soft eraser. Ideally, it should be removed within 24 to 48 hours to achieve the best results.